Tweeters can be troublesome things. 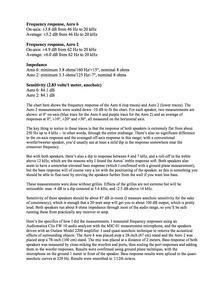 The smaller they are, the more broadly they disperse high-frequency sound - but the more they also tend to distort at lower frequencies. With a typical one-inch tweeter, the speaker engineer usually has to specify a crossover point somewhere around 2.5 kHz; anything lower will stress the tweeter. But that's right in the range where the human ear is most sensitive and where a lot of the defining characteristics of the human voice lie. The engineer would rather push the crossover point a lot lower, into a less critical range, but then the tweeter will distort like crazy - until it completely fries. Sure, you could add a midrange driver, but then your costs go way up. The Balanced Mode Radiator (BMR) -- a technology licensed by NXT and popularized largely through Cambridge Audio's Minx speakers -- seeks to solve this problem with a unique driver that works like both a midrange and a tweeter. At lower frequencies, a BMR operates like any other 2.25-inch midrange driver, working as a piston that moves back and forth to produce sound. At higher frequencies, though, the BMR diaphragm works more like an electrostatic or planar magnetic speaker: the center portion of the diaphragm vibrates on its own in a bending motion that's independent of the driver's back-and-forth pistonic motion. Because only the flexing middle part of the diaphragm reproduces high frequencies, the BMR has broader dispersion than conventional 2.25-inch drivers, yet its larger size allows it to be crossed over to a woofer at 250 Hz, in a frequency range that's not as critical to sound reproduction. So says Cambridge Audio, anyway. 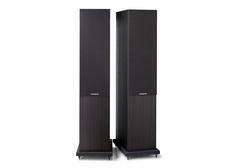 The Aero line marks Cambridge Audio's first use of the BMR in a conventional speaker. The $1,099 per pair Aero 6 tower and $549 per pair Aero 2 bookshelf speaker both use a BMR to cover most of the audio range. The Aero 2 augments the BMR with one 6.5-inch woofer, while the Aero 6 has two 6.5-inch woofers. For this review, I'll focus on the Aero 6, although I'll toss in a few comments about the Aero 2 as well. You can easily expand either the Aero 6 or the Aero 2 into a full home theater system by adding the $449 Aero 5 center speaker, the $549 Aero 3 surround speaker, and the $899 Aero 9 subwoofer. The Aero 5 has a single two-inch BMR flanked by two 5.25-inch woofers. The Aero 3 has dual four-inch BMRs, which can be run together in a bipole configuration for 5.1-channel surround sound or run separately for 7.1-channel sound. The Aero 9 has a 10-inch woofer powered by a 500-watt amp, plus a 10-inch passive radiator to reinforce the bass. Of course, you could use pretty much any subwoofer you want with the Aero speakers. Other than the BMRs and the low crossover points, there's nothing unusual about the Aeros. 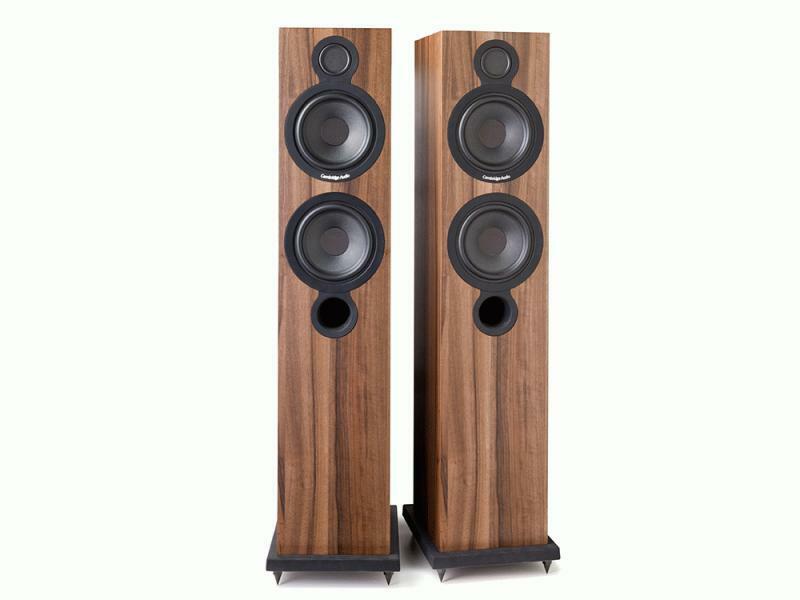 They're handsome enough, but they're basically just plain, front-ported box speakers, available in either a black or walnut finish. The Aeros, being totally conventional in form factor, are super-straightforward to set up -- except for one little twist. The Aero 6 towers sat in the place where I put most tower speakers, with the front baffles about 36 inches from the wall behind them, the speakers about eight feet apart and 10 feet from my listening chair. When auditioning the Aero 2s in the front, I placed them atop my 28-inch-high, kitty-litter-filled Target metal stands and set them in the same spot -- except when I was comparing them with the Aero 6s, in which case they sat side-by-side. I connected the speakers to my Krell S-300i integrated amp. Sources were a computer with a Musical Fidelity V90-DAC USB digital-to-analog convertor and a Panasonic DMP-BDT350 Blu-ray player. So what was that little twist? Both Aero models initially sounded a little mellow in the upper treble, and I found that toeing them in to point straight at my listening chair - something I accomplished with the aid of a laser pointer - was critical to getting good high-frequency output. Likewise, I leaned the magnetic grilles in the corners behind the speakers and never used them. Granted, this is what I do with most of the speakers I review, but maximizing the treble output is especially critical to getting the best sound from the Aero speakers.